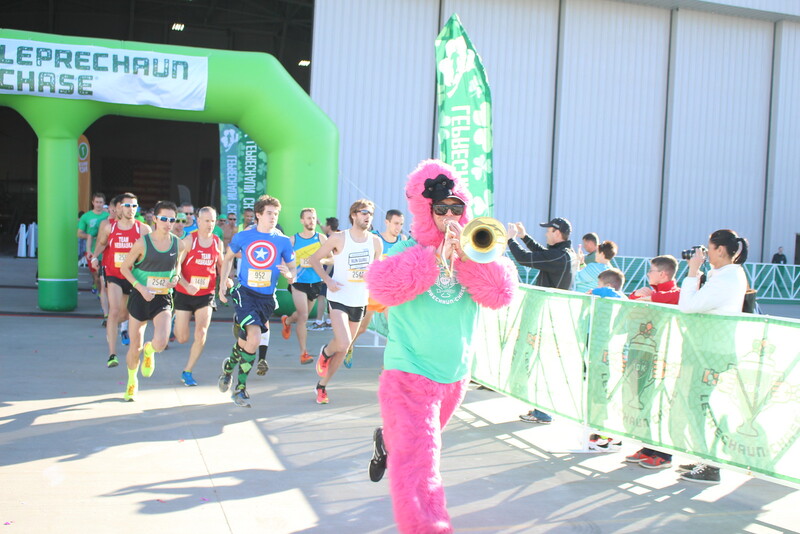 The Ultimate St. Patrick’s Day Running Race Experience. Green tutus, kilts, orange beards. All of these items can be found only in one place at the same time. 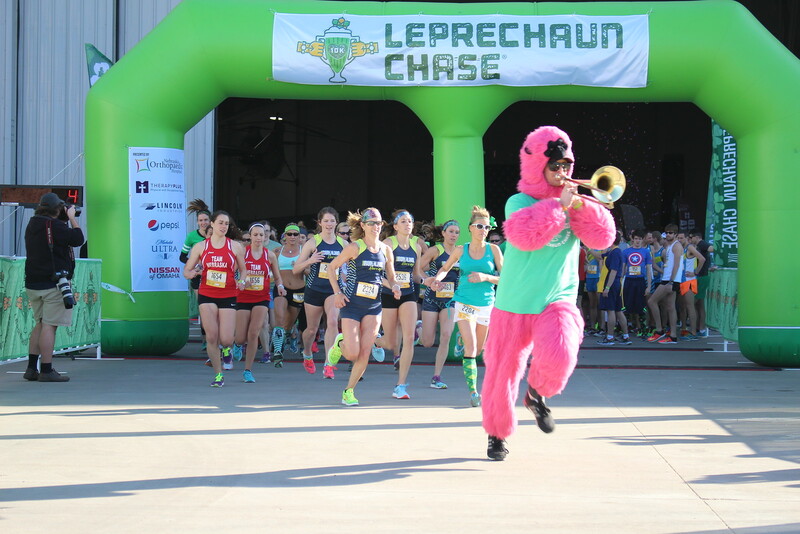 Running among the trees and grasses of Mahoney State Park on March 4th will be thousands of runners going after their pot of gold, green beer. I decided to dig a little deeper into what really makes this race a “whale of a time” and one of Nebraska favorite races annually. This is part one of a five part series leading up to race day. Gather around your closest friends inside the Strategic Air Command and Aerospace Museum airplane hanger. Talk about filling a room! 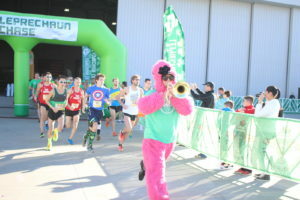 This race is capped at 2,500 runners making it a sell out race. Lasses to the right and lads to left. Thousands in green awaiting for their time to shine. A moment of silence starts out the timeline of events as the Star Spangled Banner can be heard throughout the hanger. What comes next is only the best anthem to any start line playlist; “The Final Countdown” by Europe. At the apex of the song, confetti cannons burst and the hanger doors slowly open to reveal the double starting arch. Lasses are given a 5 1/2 minute head start (woohoo!). The lads twiddle their thumbs until the clock reaches 5:30 and then immediately start passing lasses. The male winner typically passes over 1500 ladies on their way to the finish. Lads Start 5 and half minutes later.